If you’re going to launch a startup targeting application developers, it helps to know developers. That means knowing the tools they want to use, the features they require and, most importantly, the little things that will get them to open their checkbooks and pay (or convince their bosses to do so) rather than stick with the free part of the freemium model. In the relationship between startup and developer, there’s often no room for a salesperson — it’s all about building an indispensable product that spreads like wildfire on its own. MongoLab appears to have figured out the formula. According to Founder and CEO Will Shulman, the company, a cloud computing startup offering fully managed versions of the MongoDB NoSQL database, has tens of thousands of customers since launching in 2011 and is growing between 10 percent and 30 percent a month. 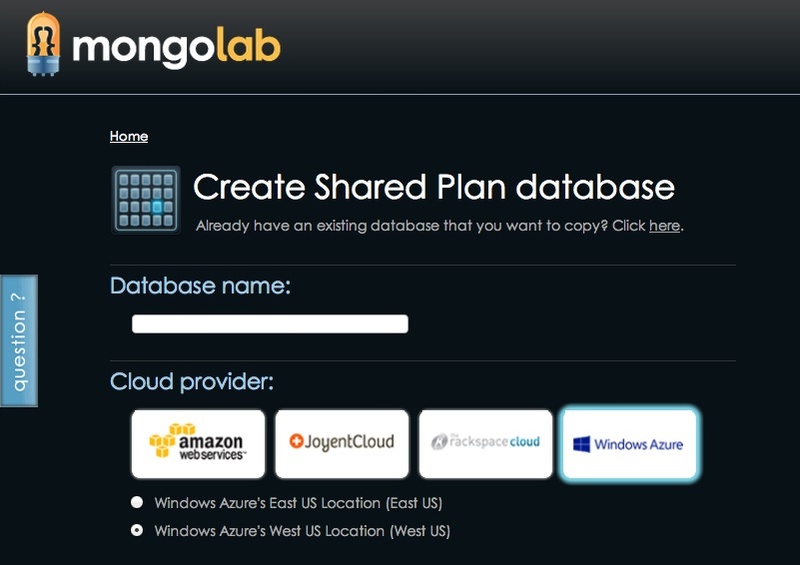 On Wednesday, it became the first MongoDB service available in Windows Azure Store, a marketplace for add-ons that complement what Microsoft (s msft) itself offers on the Windows Azure cloud platform. MongoLab also just closed a Series B funding round of $5 million, bringing its two-round total to $8 million. The money came from existing investors Foundry Group and Baseline Ventures, as well as GRP Partners, Freestyle Capital and David Cohen (of TechStars). The secret to the company’s early success is camping out where the programming tidal waves of MongoDB and Platforms as a Service converge, and then managing the impact in the name of developers. “We really take away a ton of headache for teams just wanting to develop their app,” Shulman said. The way MongoLab works is simple enough. Through its website, developers can choose the architecture they want — from a small free offering on shared infrastructure to a clustered database on dedicated infrastructure — as well as the cloud on which they want it to run. Alternatively, developers can deploy a MongoLab database via their favorite PaaS providers (including Heroku (s crm), AppFog and AppHarbor). Once deployed, the idea behind MongoLab is like all things PaaS: developers worry about applications, and MongoLab worries about keeping the database up and running. The rationale for building a PaaS is easy enough to understand, but there are some who’d argue MongoDB is a tougher sell. Although it’s wildly popular among developers (just look at the pile of venture capital MongoDB creator — and close MongoLab ally — 10gen has raised), the product does have its share of detractors. But whether those criticisms are fair or not, Shulman thinks the key to understanding when and how to use MongoDB, and why so many people choose to do so, is understanding how MongoDB fits into most programmers’ tool belts. Although the NoSQL movement “rode in under this banner of scalability,” he explained, choosing a NoSQL option based on how it scales can actually be a false choice. MongoLab operates under a thesis that MongoDB is pulling away as the world’s most-popular NoSQL database not because it scales the best — it does scale, Shulman said, but he’d actually choose Cassandra if he just needed a multi-petabyte data store without much concern over queries or data structure — but because web developers are moving away from the relational format to an object-oriented format. After picking the right business (MongoDB) and the right delivery model (PaaS), the next step to winning developers hearts, minds and dollars is packaging it all in a way that appeals to them. That’s why MongoLab plans to spend its new venture funding like it generally spends its cash — on good engineers and building a good product. Shulman said the company doesn’t do a lot of marketing because, to its audience, good tools and good documentation will make sure word spreads just fine. Feature image courtesy of Flickr user junyaogura.